Naming places, and the role of government. There’s a part of central Leeds called Quarry Hill. I don’t know why it’s called that, but my first guess is that it’s a slight hill to the East of the City which once led to a quarry. The old Burmantofts Clay Works and quarry used to be not far past it, so that checks out. Most people in Leeds calls it Quarry Hill and it has a long history, including in the 1930s when the UK’s largest block of social housing was built there. A measure of its notability as a place is that you can read more about Quarry Hill on its Wikipedia page. The flats came down in the late 70’s, and were eventually replaced with government or government-related cultural buildings — Quarry House (aka The Kremlin, for its questionable architecture), The Northern Ballet, Yorkshire Dance, The BBC in Leeds, The West Yorkshire Playhouse, and lots more. This grouping of cultural and media organisations has led Leeds City Council to refer to the area as the city’s “cultural quarter” in several strategies and documents. Quarry Hill is also home to The Open Data Institute Leeds and a number of spin-out businesses working with data, some of which I run. So I spend most of my time there when I’m in the city and I know it quite well. I like Quarry Hill, but lots of people in Leeds have a negative opinion. They remember, or have heard rumours about, the state of Quarry Hill flats before they were pulled down. They’ve driven past on one of the heavily congested roads that circle the site. They’ve seen about half of the site used as wasteland or as a surface car park since then. And recently they’ve seen it turn into a building site. The negative associations of Quarry Hill probably explain why the developers now building flats, offices, and shops in the area have gone for a rebrand, and why they are willing to pay for sponsorships of cultural events to get it widely used. I don’t like the new name. South of York Road becomes SoYo, which is remarkably similar to the name of South Park’s exclusive central enclave in the show’s short series of programmes critiquing gentrification. 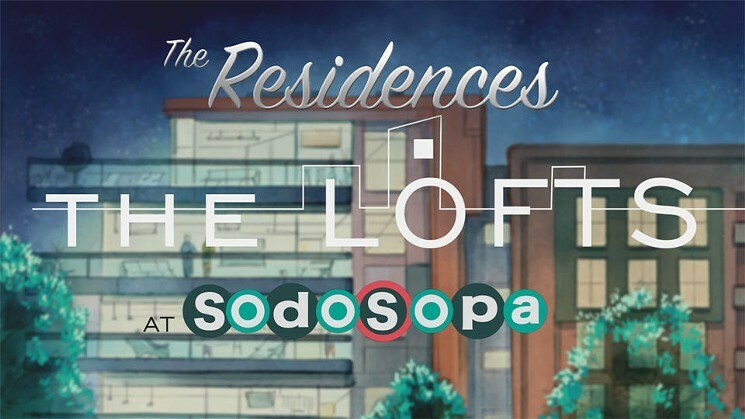 South Park lampooned gentrification with the creation of a new district of South Park called SodoSopa. Just like SoYo? SoYo is too SodoSopa for me. But would I refuse to take an office there, or go to a bar there, or rent a flat there because of a name I didn’t like? Not likely. And does a rebrand mean that potential tenants won’t get a shock when they type “Quarry Hill Flats” into Google and get pictures of 1930s buildings ready to be torn down? Yes, it does. So, I understand the developer’s point of view. To get the site built, to deliver homes that Leeds needs and has demanded be mostly built on central brownfield sites, and to pay everyone doing the building they need to convince people to fork out the around £1000/month asking price for a two-bed flat. If SoYo helps with that, who am I to argue? But should a city and its people also have a role in deciding what places are called? I think that a lot of people in Leeds will think that they should. And many are worried that Leeds City Council seem to be playing along with the SoYo rebranding. Naming places is really hard. Different people have different opinions, often strongly held. In Leeds, the extent of Headingley is widely contested for example. This is all part of the rich variety of life, but it makes it hard to produce things like maps, ask for a bus ticket, or find a pub. So map-makers start to standardise. Google favour the terms that people use in searches, and that has got them into trouble. In France, government takes a stronger role with arrondissements and quartiers of cities defined by the state in addition to communes, départements, and much more. In England I think we’ve been a lot less prescriptive, doing a bit of everything and seeing what sticks. And I tend to think that it would be good idea if the name Quarry Hill sticks. And SoYo can be a new development on part of it. So today I took a few minutes to add Quarry Hill as a neighbourhood of Leeds on Open Street Map. This free and open mapping website is like Wikipedia, but for maps. Its data is used in lots of other mapping software, like Apple Maps, so you may see Quarry Hill turn up there. Maybe even one day it’ll be in Google Maps — they probably look through Open Street Map for ideas too. Anyone can edit Open Street Map, so I did. It now includes Quarry Hill as a neighbourhood in Leeds. Let’s see how it goes. And let’s see if SoYo appears in time too. The great thing about Open Street Map is that there’s room for both.